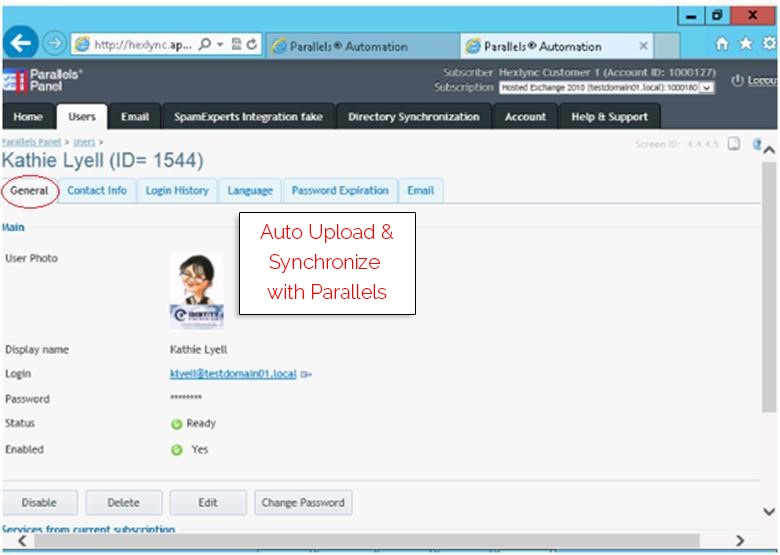 The IDSync® photo synchronization feature is an add-on software capability to the IDSync® connecter for Odin Automation APS2 package. 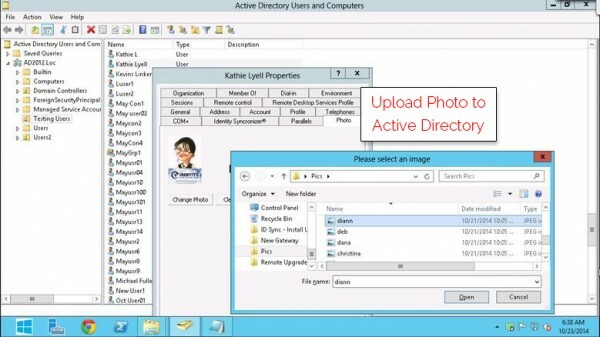 The Photo Synchronization feature of IDSync® allows the user to add their photo in Active Directory along with other identity meta data and update that data in the Odin Control Panel. 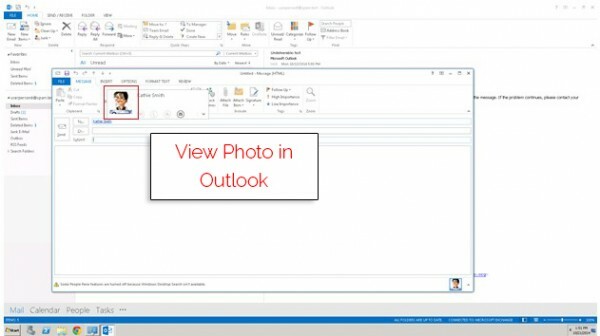 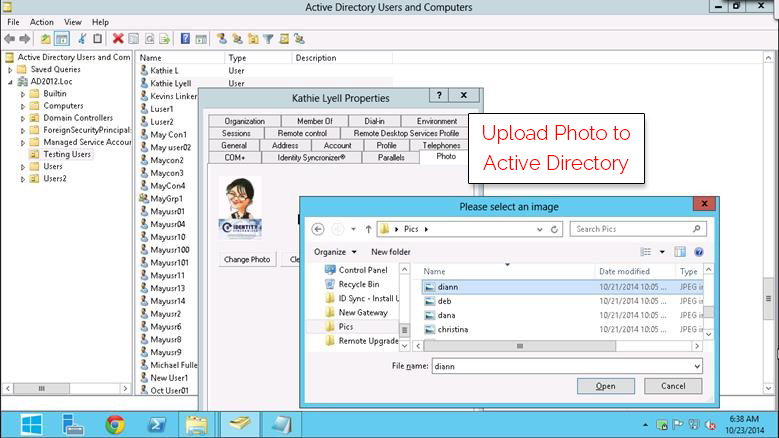 Photos are added to Active Directory using the new “Photo” tab that is available in the properties window of Active Directory Users & Computers.